From Olympic-size swimming pools with movable floors through to extreme sports areas, leisure centres are becoming significantly more advanced, both in terms of technology and design. 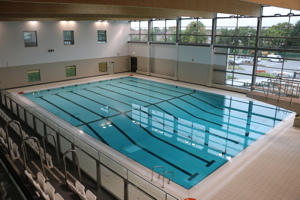 However, offering such a large number of facilities means that leisure centres must also find ways to improve energy efficiency. According to the Carbon Trust, a 10% improvement in managing energy, could save leisure facilities up to £70 million a year and reduce carbon emissions by hundreds of thousands of tonnes. This can be achieved by implementing a building-services solution combining several key elements. A suitably-sized CHP (combined heat and power) system will provide both an adequate heating source for domestic hot water and electricity, reducing consumption from the electricity network operator. It is however, essential that the CHP unit is designed and sized as the primary source of hot-water and heating. This will reap the greatest operational benefit as the unit will be generating electricity and heat as a by-product. This is achieved by identifying the constant heating load. In many cases, this is the swimming-pool heating plant, which would be in demand every day of the year. The CHP would then be assured of running full-time, maximising the by-products. Although the capital and installation costs of a CHP unit exceed that of a traditional boiler of the same size, these costs would be easily recouped over 25 years through free electricity and supplementary heating generation. CHP units should be also complemented by roof-mounted solar arrays, which will achieve further savings as less electricity is required from the National Grid. A BMS (building management system) will ensure buildings optimise energy efficiency and that these optimum conditions remain throughout the payback period. Appropriate BMS metering of heating, energy, and electrical usage will enable a more strategic preventative maintenance schedule to be developed, which will reduce maintenance costs and increase the life expectancy of the plant systems. This monitoring will also help to keep track of the life-cycle costs linked to the building services installation. Regulated carbon emissions from the Waltham Forest Feel Good Centre are 45% lower than the requirements for Building Regulations. The type of control system is also important. Many control systems are dependent on using a ‘controls house’, as all software is password protected, but this means that the leisure operator is restricted in terms of their choice of contractor as further modifications are invariably required. To provide more flexibility, a control system which can be operated by users from any organisation is advised. In addition, some of these systems are not dependent on a particular cable type, enabling any future additions or modifications to the control system to be carried out with more flexibility and without the potential hazard of re-wiring, maximising safety and minimising maintenance throughout the system’s lifecycle. Installing variable-speed drives and control panels will reduce energy consumption of the pumps overnight and during periods of low use. The lifecycle costs of each element should be considered. These are based on the recurring and one-time costs over the full lifespan or a specified period of the system. They include purchase price, installation and operating costs, maintenance and upgrade costs, and remaining value at the end of ownership or its useful life. This analysis enables the building’s full operational costs to be accurately projected. These costs will be realised by correctly sizing plant equipment, understanding its maintenance requirements and therefore building in sufficient spare capacity at the design stage. This will minimise disruption to the operation should an item of plant need to be taken out of service and means that the plant is unlikely to require upgrading due to the efficient rotation of plant duty selection. The capital cost for this additional spare-capacity plant would not exceed the revenue lost in closing the building through emergency or planned maintenance, effectively reducing the operating cost. To help the client understand the controls and systems from the outset, a series of pre-handover training sessions should be provided to optimise the operation of the systems from day one. This forms an integral part of the lifecycle costs plan and should be part of the analysis. 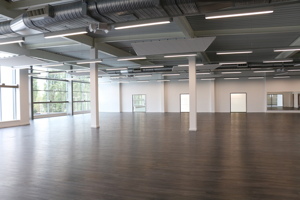 The Waltham Forest Feel Good Centre in Walthamstow, London, shows what can be achieved with a carefully designed building-services solution. Its design challenges the norm in terms of sustainability for a building of this type. By selecting an appropriate combination of condensing gas-fired boilers, air-source heat pumps, CHP unit, energy-efficient lighting and photovoltaic panels, the building’s regulated carbon emissions are 45% lower than the requirements for Building Regulations. The CHP units and photovoltaic panels contribute 533 MWh a year to the building’s annual energy consumption of 1556 MWh, reducing its energy consumption, and therefore its cost, by a third. 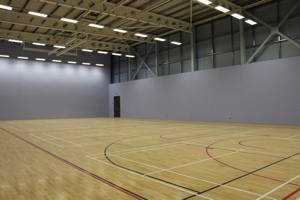 The result is a leisure facility that is not only energy efficient but cost effective to run and maintain. The building has a BREEAM ‘Excellent’ rating. With new leisure centres offering a broader and more sophisticated range of services and facilities, M&E contractors have a key role to play in optimising efficiency. The building-services solution must combine a range of high-quality elements that are easy to use and, most importantly, work together to minimise energy consumption as well as costs. Steve Jamieson is technical manager at REL Electrical.